Division 1 of the Women’s National Basketball League (WNBL) tips off the new season this weekend, one that is being hailed a new beginning, having undergone a number of changes. It has been over 17 months since Sharon Bayton was appointed by British Basketball as the chairperson for an elite women’s league project, but there has been no further news since the initial announcement, forcing teams to take their own initiative. The off season saw representatives from all eight teams get together to put together a proposal for the league moving forward. 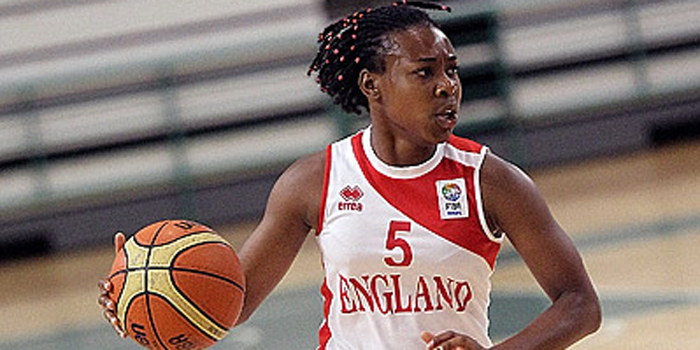 In co-operation with England Basketball, the changes have been approved for the 2013-14 season. The season will see over one hundred games played and four competitive competitions, as the league looks to raise every aspect of its profile and build a base to improve and develop both on and off the court. The new structure will consist of the regular season, in which every club will play both home and away before the end of January to determine their league position. After this, the top four teams will continue to compete against each other for the championship title, whilst the bottom four teams fight for the remaining spot in the end of season final four weekend. Alongside the regular season, the women’s league will continue to host the National Cup, however, a new addition will be ‘The Betty Codona Classic’ – a cup competition based on a similar format seen across Europe, where seeding will be based on halfway standings in the season (after 7 games); the top four teams will be drawn to play the bottom four in the quarter finals of the tournament, where all games will be played over the first weekend in January. Additionally, all eight teams in the league have been guaranteed a WNBL spot for at least the next three seasons, giving greater stability and an opportunity to grow the league. “It is clear that something needed to change,” said Barking Abbey Head Coach Mark Clark. “We all got together at the end of the season and started hashing together some ideas about what we think the league should look like and what needs to be done to move us forward – this is the end result. The 2013-14 WNBL season tips off on Saturday 29th September.